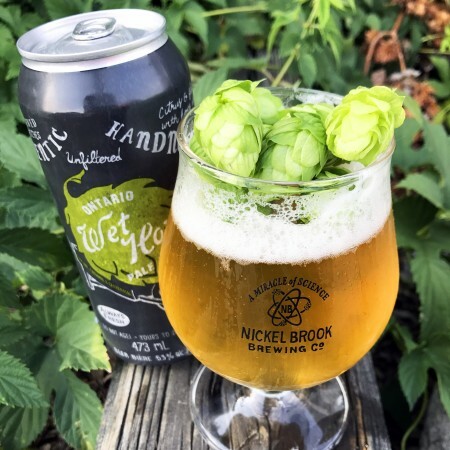 BURLINGTON, ON – Nickel Brook Brewing has announced the release of this year’s edition of its annual Ontario Wet Hop Pale Ale. We’re celebrating the very best of local harvest season with our Ontario Pale Ale made with 100% Ontario-grown ingredients! This wet-hopped Pale Ale is made entirely with freshly-picked Ontario hops: Cascade, Chinook and Centennial. This freshness gives the beer a crisper, grassier flavour with a sweet biscuity finish. Nickel Brook Ontario Wet Hop Pale Ale will be available starting this week in 473 ml cans at the Nickel Brook retail store and select LCBO locations while supplies last.